The Internet has been a boon for people with chronic illnesses, including those with inflammatory bowel disease (IBD). People with IBD are able to connect and share experiences like never before. But is there a way for people with IBD to take care of some of their many doctor's appointments using the Internet? Telemedicine is becoming an important new tool for busy people to receive healthcare, but does it have a place in the treatment of IBD? Telemedicine is an option for many patients. Not all physicians offer telemedicine, but it is becoming increasingly available. Insurance companies may or may not reimburse for telemedicine. Telemedicine won't be appropriate for all medical needs (such as when a physical exam is needed). Telemedicine is, broadly put, a way to receive healthcare using telecommunications. That could include the telephone, video calls, texts, email, or other ways to connect, such as patient portals or social media. Telemedicine actually has a long history, with health care practitioners using the phone to communicate about and with patients long before the Internet. In recent years, however, the process has become even more accessible, as doctors take up the idea more fully and insurance companies look to reduce costs through the use of telemedicine. Every telemedicine practitioner will have their own way of working which depends on many different factors. A physician who sees patients in the office may have a telemedicine schedule to allow for flexibility. Other practitioners operate solely online. Some telemedicine clinicians may work with insurance companies, but others may have a concierge arrangement where a patient pays outright for services. However the telemedicine provider chooses to operate, there will be guidelines for the use of the network. Practitioners may put limits on the number of telemedicine visits in relation to in-person visits, may only prescribe certain classes of medications, or may only provide treatment for certain specific conditions during a telemedicine visit. Could Telemedicine Be Helpful for IBD Patients? Crohn's disease and ulcerative colitis are complicated and can often be difficult to treat. They also tend to be expensive diseases, with costs that can include medications, surgeries, and hospitalizations. The time needed by both patients and practitioners to deal with all the necessary appointments to manage IBD is intensive. Telemedicine could be used to fill in when time and distance are problems that are preventing appropriate access to care. One place where telemedicine has the ability to increase access to healthcare is in rural areas. People who live long distances from a gastroenterologist, let alone an IBD center, might have access to an IBD specialist over telemedicine. People with IBD who live in more remote areas are sometimes treated by a local physician that isn't a digestive specialist, which isn't always the most optimal situation. A telemedicine arrangement could bring a gastroenterologist into the care team and provide much-needed expertise. Is There Any Evidence Supporting Telemedicine in IBD? One small trial that involved patients with ulcerative colitis sought to find out if telemedicine improved disease outcomes over the course of a year. It turns out that disease activity and quality of life did improve for a certain subset of patients, but technical difficulties with the telemedicine system caused some patients to drop out of the trial. The researchers concluded that there was a potential for telemedicine use in patients with IBD. Another aspect of telemedicine is the ability to help educate patients about their disease. IBD is complex and many patients face a steep learning curve at diagnosis, during a treatment change, or after a complication occurs. One small study showed that patients who took part in a web-based program increased their adherence to a treatment plan, their knowledge of IBD, and had fewer visits to see a healthcare provider in person. They did, however, make more calls and send more emails to practitioners than did patients not on the web program. A similar trial, which included 95 patients with mild to moderate ulcerative colitis, showed that patients using a web-based program were better able to manage their drug regimen and, in some cases, were able to reduce the amount of medication they took. IBD patients are typically not known for their adherence to therapies. There are many reasons for this, such as concern over side effects. But there's a possibility that telemedicine could help patients with taking medications in the way they're prescribed. Several studies have shown that a program that included some combination of telemedicine and a web-based educational system is helpful for patients—it increased their ability to follow a medication regimen and to better understand their IBD. Understanding the benefits of medications, receiving some reassurances regarding potential side effects, and having increased access to a healthcare professional could be helpful for IBD patients. At least one study deemed telemedicine to be a safe method of treatment delivery for people with IBD. Are There Barriers to Telemedicine? The status quo in medicine is slow to change: the model of patients coming into the office for even routine concerns is still how most practices operate. Setting up a telemedicine program requires money, time, and patience. 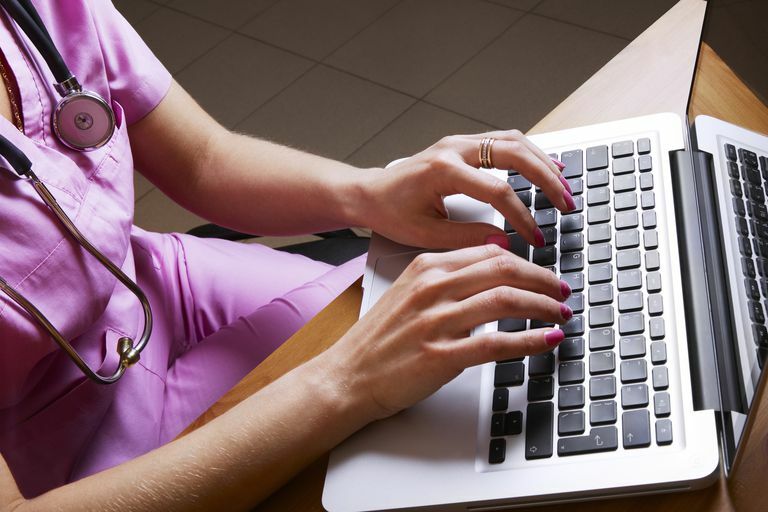 Some physicians may already be overloaded with the demands of their practices and adding telemedicine may not be high on the list of improvements. Patients, too, would have to adopt the new program, and some of the trials showed that technical problems can cause significant difficulties. There's also the issue of billing—there are concerns with being able to recoup costs from telemedicine. For instance, Medicare only allows physicians to bill for telemedicine services provided for certain circumstances. In the case of Medicaid, billing for telemedicine is going to vary by state. IBD is a disease that requires a lot of hands-on work with an experienced healthcare team. But, it appears as though telemedicine may have a role in an overall healthcare plan. People who live in rural areas or those who are far from an IBD specialist may especially find a telemedicine program helpful. Telemedicine won't be the answer in all cases or for all patients—there are certainly situations where an in-person appointment is needed, particularly when there's a flare-up or a complication arises. However, the day-to-day needs of patients with IBD might be served through telemedicine. Patients considering entering into a telemedicine relationship should talk to their physician and find out what programs might be available and check with their insurance company to find out if they participate in any telemedicine arrangements. Cross RK, Cheevers N, Rustgi A, et al. "Randomized, controlled trial of home telemanagement in patients with ulcerative colitis (UC HAT)." Inflamm Bowel Dis. 2012;18:1018-1025. Elkjaer M, Burisch J, Avnstrom S, et al. Development of a Web-based concept for patients with ulcerative colitis and 5-aminosalicylic acid treatment. Eur J Gastroenterol Hepatol. 2010;22:695-704.
de Jong MJ, van der Meulen-de Jong AE, Romberg-Camps MJ, et al. Telemedicine for management of inflammatory bowel disease (myIBDcoach): a pragmatic, multicentre, randomised controlled trial." Lancet. Published online 14 July 2017. Pedersen N, Thielsen P, Martinsen L, et al. "eHealth: individualization of mesalazine treatment through a self-managed web-based solution in mild-to-moderate ulcerative colitis." Inflamm Bowel Dis. 2014;20:2276-2285.